Exploring the microbe to the macro, and everything in between, Adaptation is SymbioticA’s art and ecology research project. 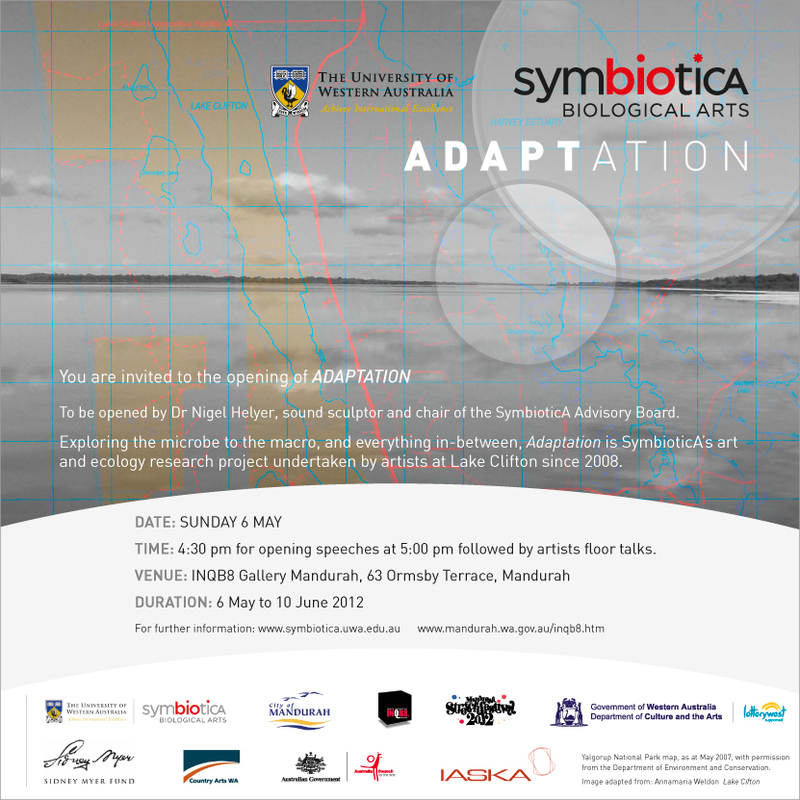 The Adaptation exhibition features the projects undertaken by the Adaptation artists-in-residence embedded in Lake Clifton, south of Mandurah in Western Australia from 2008 to 2012. 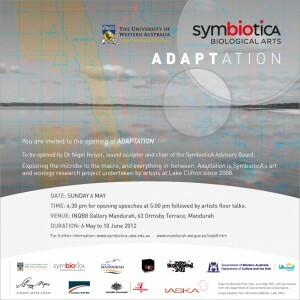 This entry was posted in Uncategorized and tagged adaptation, climate change, ecology, environment, evolution, Lake Clifton, Mandurah, microscopy, sculpture, SymbioticA, thrombolites. Bookmark the permalink.